SARPY COUNTY, Neb. 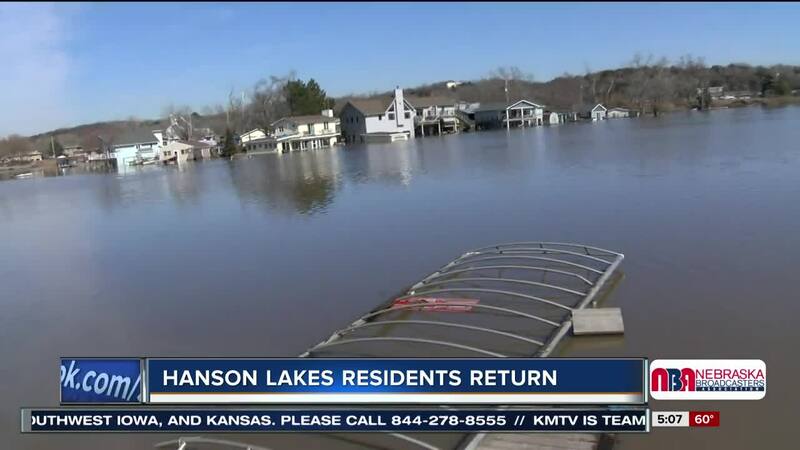 (KMTV) -- — Boat docks washed away, foundations moved, mud and water everywhere. For the first time residents are allowed back into their homes at Betty, Chris, and Hanson Lakes in Sarpy County. They were evacuated when the flooding on the Platte River pushed into their communities. Dozens of residents cleaned up what they could, took a first look inside, or came to help their neighbors. Floodwaters are being pumped out of the lake back into the Platte because some of the lakes are still higher than normal. Patty Flott and her husband George have lived in their Hanson Lake home for almost 12 years but seeing 3 feet of water still in their first floor was hard to take. "It's very painful to see. we've worked all our lives to build our dream home and so it's hard :05 it's really hard," Patty explained. The Salvation Army is offering food, water, and emotional support at both Hawaiian Village, and the Betty, Chris, and Hanson Lake areas.